According to a press release issued by PokerStars this week, the world’s largest online poker site has inked a deal with the Casino Gran Madrid that will see the two gaming entities build a PokerStars branded poker room in the popular Spanish casino located in bustling Madrid, Spain. The deal with the Casino Gran Madrid is yet another step in PokerStars’ business model which seems to be moving the online gaming giant into the Brick & Mortar arena more and more. The announced deal comes on the heels of PokerStars signing similar deals with the Hippodrome in London, the Grand Waldo Entertainment Complex in Macau, the Circus Groupe in Belgium, and perhaps most notably a rumored deal that would see PokerStars purchase the Atlantic Club in Atlantic City, New Jersey should the state pass an online poker bill that is currently sitting on the governor’s desk. It’s also quite likely that the deal will lead to PokerStars bringing the European Poker Tour (EPT) back to Madrid, which along with the very popular stop in Barcelona would give Spanish players two major tournaments to choose from each year. Casino Gran Madrid is the premier casino destination in Madrid, which we already work with to host some of the largest and most successful poker tournaments in Spain. Establishing a permanent PokerStars-branded poker room in the casino will give more players the opportunity to play world-class poker with the high-quality player experience that PokerStars is known for. The poker room, with an innovative interior design, has been created to take poker to a new level – this extra dimension will catch the interest of all national and international players. Our ambition is to create an amazing atmosphere to play poker, adapting the lighting, the seats and the audiovisual support to the needs of the poker player. Since legalizing and regulating online poker in early 2012 Spain has seen a “Poker Boom” of its own, with hundreds of thousands of players picking up the game. 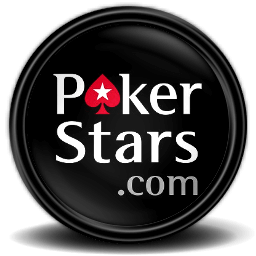 According to several reports, a full 2% of the Spanish population has played online poker for real money (a huge number considering the country has only had online poker for a single year), and PokerScout.com lists PokerStars.es (the Spanish PokerStars domain) as the eighth largest in the world, with a seven-day rolling average of 1,600 real-money cash-game players on the site, and peak traffic numbers that put this number above 4,000 players.